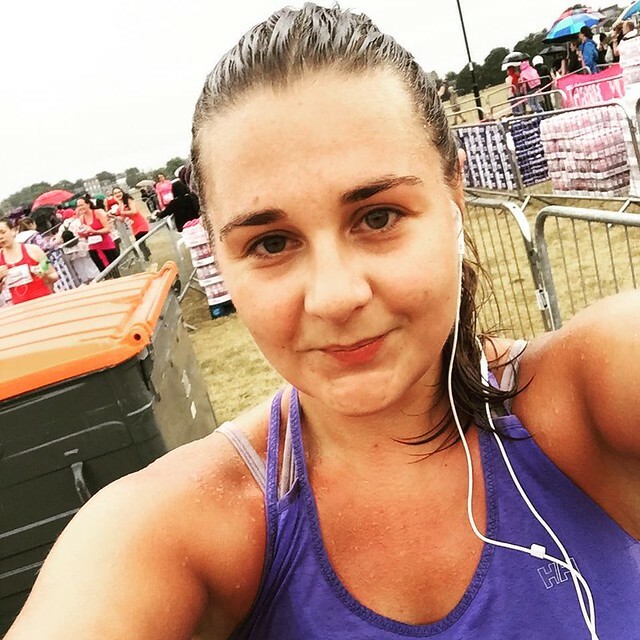 As if I haven't bleated on enough about it, here's another post about the running I'm doing to raise money for Cancer Research. I have challenged myself to run 100 competitive kilometres on one year. I started off training for a 10km in the spring of 2015 from nothing, but suffered a pretty grim ankle sprain/fracture which really set me back until my birthday in June. Following another family cancer diagnosis (Cancer 3:3 My Family) I felt the need to *do* something. And I'm an all or nothing kind of person. 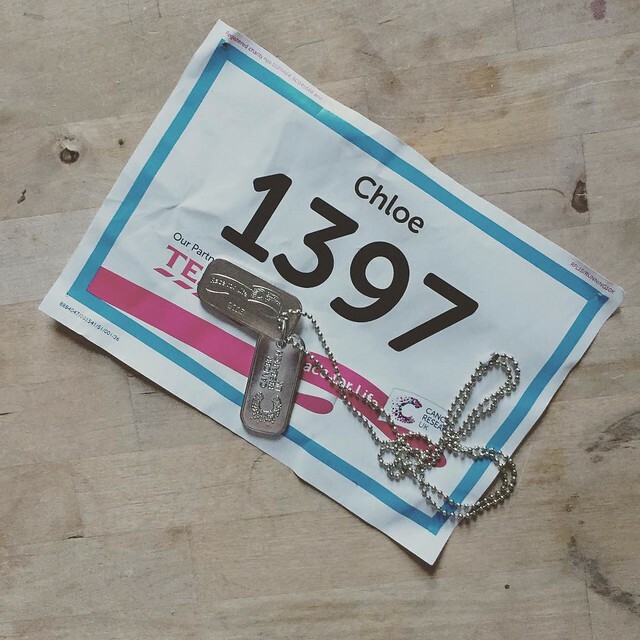 Over the course of 12 months I'm running several 10km races, a marathon, a couple of half marathons and I have also applied for a London Marathon place with Cancer Research which would add a bonus 42 kilometres taking it over the 150km mark. Of these assorted races, some of them are Race For Life, which seemed appropriate for the cause. It started with Hyde Park- a 10km RFL which suited me both for it's date and it's location. And then came the big one. The marathon. 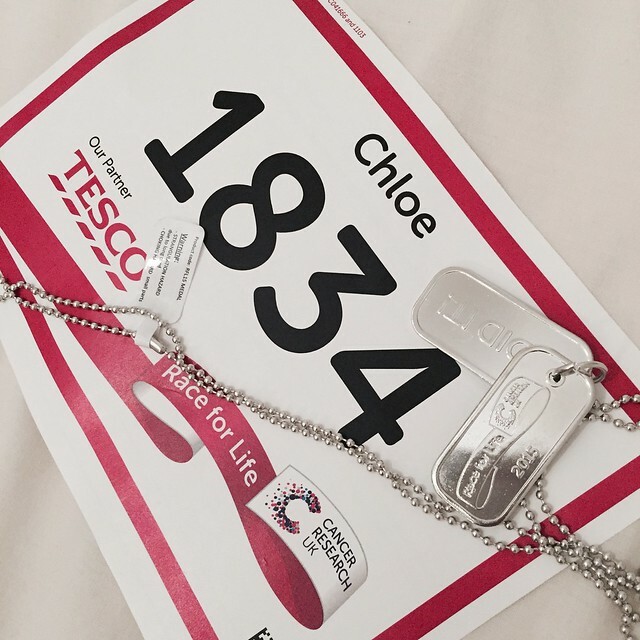 The Race For Life Marathon on 4th October is the first ever, it'll be held at Lea Valley Showground and I'm running it. EEEK! 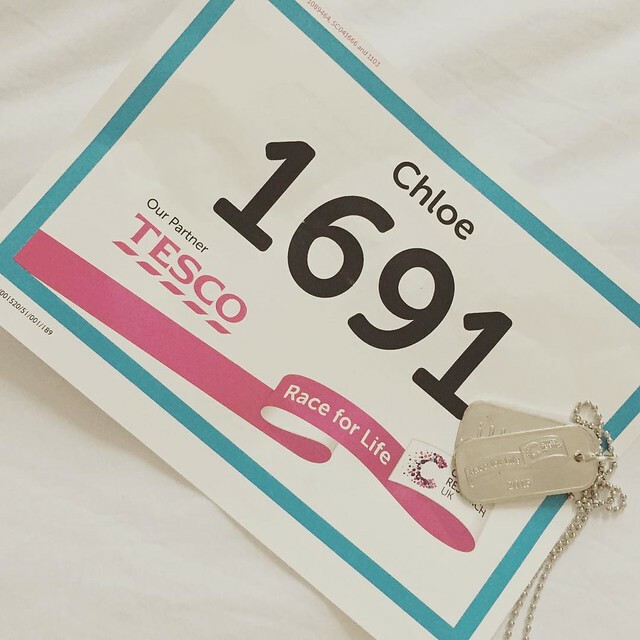 But with my entry, I was also given a code for free entry into a 5km and a 10km Race For Life to help me with my training. And so off I went to Blackheath on Sunday 5th July. Smashing 12 minutes off the first ever 10km time I'd set 2 weeks previously and coming across the line in 59:46. a few days later, Tuesday 7th July I headed to Peterborough 5km and the opportunity to get to know a few people as I went along with some ladies I met at the running group I've been attending. Screwed up my intended pacing exercise but still finished with my fastest ever 5km in 34:46. Hyde Park, 3rd race in as many weeks and I'll be honest and say the 10km races have actually made me more nervous and uncertain in my marathon training. 10km doesn't stretch the distance far enough for me to call it a 'long run' but I can still kid myself that it's a big deal. And it is a big deal. Since 3rd June 2015 (that's 9 weeks FYI) I can now comfortably run 10 whole kilometres and I've seen continuous improvement. I'm running a bloody marathon in 8 weeks time and in under 6 months I will have completed 6 races. Having never completed one before. Ever. Running is hard. It challenges far more than cycling which is now something I'm having to make time for in the training schedule- it's my 'crosstraining' and it's a rediscovered joy. I've not been able to cycle so much in the early months of 2015, but having a valid excuse and a new partner in riding crime (I'm on a mission to drag my dad out regularly) has been the best thing for getting back out there. I'm still wondering what I was thinking when it comes to this challenge- I'm not a natural runner and so far this year there have been injuries, recurrence of an IT band issue from 8 years ago, blisters caused by heels and aggravated by trainers and a whole lot of beating myself up about not getting better. What is keeping me going thus far is the cause, because cancer, we're coming for you.